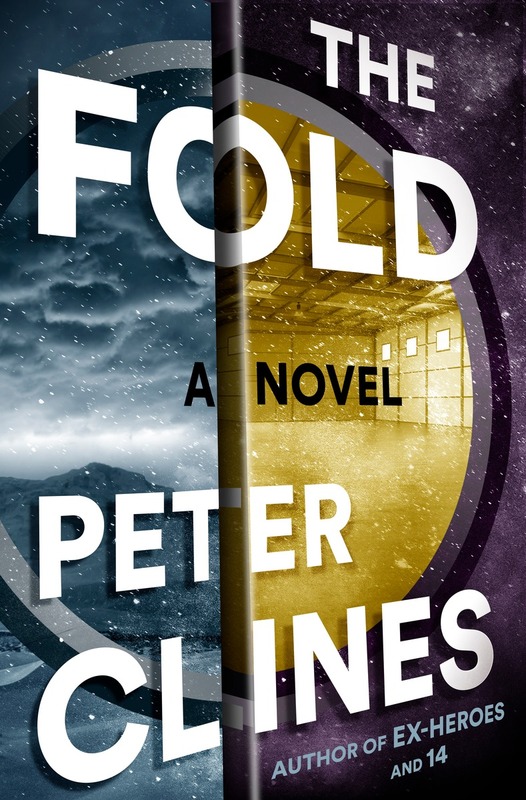 Peter Clines has established himself as a master of the science fiction thriller genre, with novels including The Fold and 14 which drew a cult following of ardent readers. 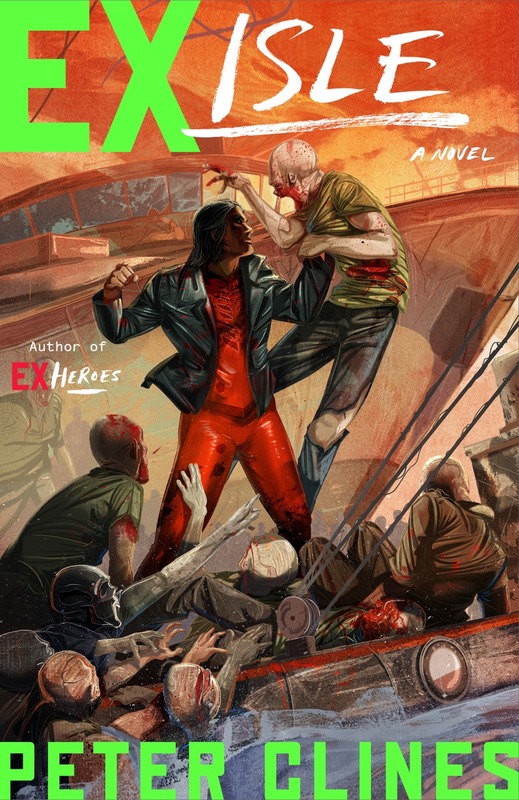 Characterized by expert fast-paced plotting, cinematic action scenes, and tons of geek and pop-culture references, Clines’s genre-bending Ex-Heroes series now returns with Ex-Isle, the exhilarating fifth installment. 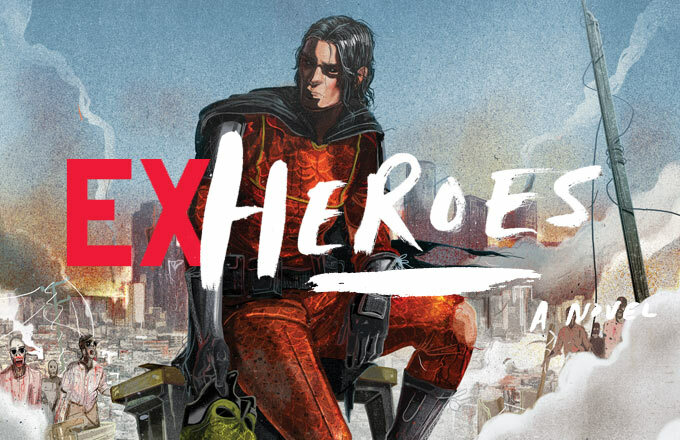 Clines took some time out of his busy schedule to discuss the Ex-Heroes series, his thoughts on potentially adapting his work to comics and his love of research! FOG! : The pitch for your Ex-Heroes series is essentially The Avengers Vs. The Walking Dead. What was the genesis of the series? Peter Clines: I think there were two or three sparks that started the first Ex-Heroes book. One was frustration with a zombie-superhero series one of the Big Two comic publishers did. It seemed like such a great idea—a zombie outbreak in a superhero world–but I felt like the execution was just awful. Granted, lots of people liked it and it made them a ton of money, but to me it still felt like a gigantic missed opportunity. So I scribbled out a few notes of “how I would’ve done it.” And, in most cases, that probably would’ve been it. More or less around the same time (spark number two) my girlfriend and I moved in together and I finally had an office. I was unpacking some stuff and found these sketchbooks from grade school and high school, back when I wanted to write and draw comics for a living. I was looking at all these characters I’d made up back then and realized the basic archetypes fit very well into my “how I would’ve done it” story. So I started writing and eventually realized I had a book on my hands. That was in 2008. One interview I read with you noted the difference between superhero stories versus superpower stories, with this series being about the former. What do you find so appealing about superheroes? I think real superheroes have a certain nobility to them. These are characters who give up their identity, their chance at reward, their chance at a normal life, all to help people they don’t know and who may not even thank them for it. A lot of stories have tried to personalize the challenges these characters face, and while that still makes for good stories, it does start veering things into another genre. The minute I add a personal element, a story changes from “superhero stops lawbreaker” to “vigilante revenge thriller.” Again, not saying that’s a bad story, but I think it needs to be acknowledged this is a different story, and not often a heroic one. Batman and Deathwish are two very similar stories, but they’re also very, very different. I also think—and this may just be me—superhero stories tend to be more entertaining. Not in some cathartic way, just in a “hey, this is fun” way. They’re willing to let things slide a little more rather than try to rationally explain everything. A lot of superhero origins/motives/worlds start to crumble if you look at them too closely, so we just accept that we don’t look at them and have fun. That’s what I wanted to do with Ex-Heroes and all the books that came after it. I wanted to tell stories about the kind of inspirational heroes I grew up with, the ones that were symbols of hope. It’s kind of corny but… hey. So you were a comic book fan growing up? What characters/creators did you follow? Huge fan, yeah, to the point that it kind of worried my parents. I just realized how funny it is to think that I was once spending three or four dollars a month on comics as a kid, until you realize that’d be about thirty-five or forty bucks a month today. I read the old Marvel Star Wars comics, ROM, Micronauts, Shogun Warriors, X-Men, the Incredible Hulk, Ghost Rider, Blue Devil, Teen Titans, and more. I collected Amazing Spider-Man from about third or fourth grade straight through until the end of the first “Civil War” storyline. Bill Mantlo was, clearly, a huge influence as a kid, even though I didn’t understand the whole comic-creation process at that age, so he got all his appreciation from me in retrospect. I discovered X-Men during Chris Claremont and John Byrne’s run together, and when they parted ways I kept tabs on both of them. 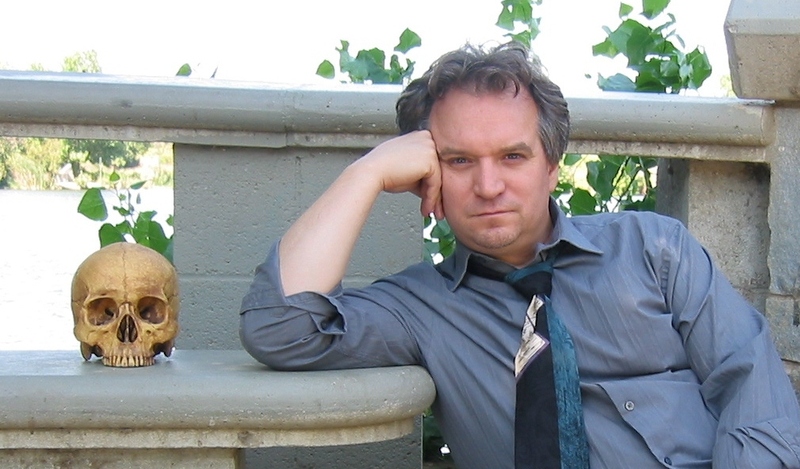 Dave Cockrum. Alan Moore’s stuff, of course. I loved Peter David and read everything of his I could afford. I got to meet him briefly at the first big SDCC party I went to, and only humiliated myself a little. Your other work includes The Fold, which is about teleportation. How much research do you do and at any time does it limit your imagination in your attempt to be accurate to the science? I try to do some research ahead of my first draft and then a bit more when it’s done. I have a lot of very smart friends and family members in different fields, and they don’t mind when I call or email with odd questions about scurvy or biotech or military terminology or radiation poisoning. I don’t do much past that precisely because I don’t want it to limit my imagination while I’m writing—especially in early drafts. I want to be as accurate as possible, but at the same time I’m trying to write an entertaining story, not a textbook. There are some things here in there in my books that I know are wrong, but the story is better because of them. At the same time, I love it when I can get something 100% right and make it work in the story, because that’s the kind of thing where the ten or fifteen people who know that fact and notice it will be thrilled. I had someone tell me recently they were driving in San Diego and decided to follow the driving directions in one chapter of The Fold, and they were thrilled how much of it matched up. You’re also a big Doctor Who fan. With rumors of Capaldi exiting, who would you like to see as the next Doctor? Are there actual rumors he’s leaving, or just the assumption he will because Moffat’s leaving and Tennant left with Russell Davies? I really hope he doesn’t leave, because I’d love to see him do more with the role. Who could replace him? So many choices I’ve seen batted around. I saw someone suggest Simon Pegg, and that’d be great, as would Stephen Fry. I know Hayley Atwell would love to do it, and she’s proven she can headline a sci-fi/action show. 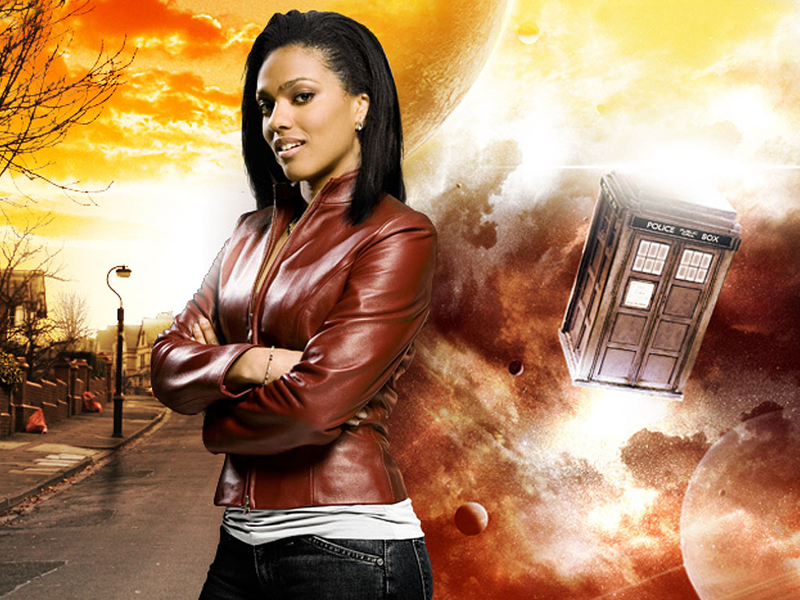 If I could make an odd choice—and I have no idea if she’d be even slightly interested in it—I’d be very interested to see what Freema Agyeman would do with the role. I always felt she got kind of stiffed as Martha. Not because of the writing, but because she was—for the Doctor and for fans—the rebound from Rose/Billie Piper and that limited what the show could do with her. There’s a solid precedent for regenerations being shaped by former faces a Time Lord’s seen, soooo… someone call Freema, see what she thinks. Ex-Isle is the latest in the series. Do you foresee an ending or is this a world you’d want to keep returning to? I think I can return a few more times. I’d never envisioned it as set trilogy or pentalogy or something, and over the past five books it’s kind of evolved into more of a standing universe. I could probably keep telling stories in it for ages. I’ve got a good story set up for a book six, if people are interested, and some ideas for seven. Maybe a two-line idea for a book eight, but getting that far’s just a crazy dream at the moment. Do you have any interest in adapting Ex-Heroes to comics? If so, do you have a dream artist that you’d like to collaborate with? I’d be lying if I said it hasn’t crossed my mind. What I’ve actually ended up playing with is a seven or eight issue prequel story. I usually hate prequel stories because they tend to be unnecessary at best and illogical at worst—so naturally it’s where my thoughts went. But rather than doing a straight adaptation of the books, I thought it’d be neat to see the actual zombie apocalypse that’s been glimpsed in flashback chapters. Start with a superhero book about the Mighty Dragon, Stealth, and the others. Then there’s a zombie. And then three or four zombies. Then dozens, hundreds, thousands… millions. Plus it’d let me focus on a lot of heroes who only got a little time in the books, like Gorgon, Banzai, Midknight, and Blockbuster. I’m hoping to pitch it to some folks this year. Dream artist… there are a few. Mark Bagley. Adrian Alphona. Brian Hurtt. Of all the people out there today, though… I’d probably say Drew Moss. I know he does great zombies and monsters (I’d love to see his take on Cairax the demon), and I just think he’s got a fantastic, very classic/ fresh style. Well, Ex-Isle is still the big thing right now. It’s been out for about two weeks now and the audiobook is coming out right about… now, I think? The Fold is coming out it paperback next month, and I’m excited about that. A week or two after that a mash-up novel I did years ago, The Eerie Adventures of the Lycanthrope Robinson Crusoe, is getting re-released. It’s kind of an odd book, not for everybody, but I’ve always liked it. That publisher, Permuted Press, did a new edition and it’s really gorgeous. And I’m just finishing up a new book that’s sort of a road trip/time travel/horror/mystery thing. Very slight chance that might be out by the end of the year, but I guess we’ll see. Like a lot of folks, I can’t wait for Captain America: Civil War. I’m loving The Flash on TV—it’s amazing how many things they cram into that show without ever making it feel like “we’re cramming in references for the fans.” I’m not geeking yet, but… well, I’m really excited to check out the new takes on ROM and Micronauts that are coming out this summer. On the other hand, I’m sad to hear Agent Carter is looking pretty much dead, and also that (in comics) that The Sixth Gun is coming to an end.